"The withdrawal of immunity is the only way to prove my point." People's deputy Oles Dovhyy addressed the Verkhovna Rada regulatory committee with a request to be stripped of the parliamentary immunity. 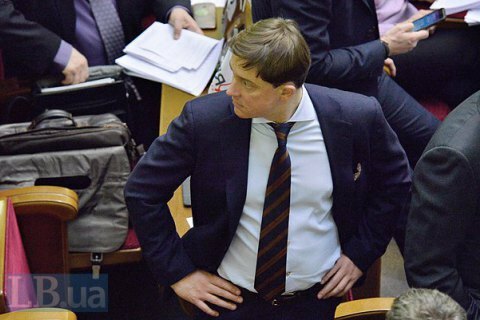 "As a responsible and consistent politician, I ask my colleagues in parliament to support the stripping the immunity from me, despite the obvious personal motives and the use of selective justice [by law enforcers]," the opposition lawmaker told the committee that examined the requirement of the Prosecutor-General about giving consent to bringing Dovhyy to criminal liability on Tuesday. "The removal of immunity is the only way to prove one's case in court, to put an end to this case once and for all, and turn the page of 10 years ago," the lawmaker said. "I want to have the right to look honestly in the eyes of the people of Ukraine and voters who have supported me support today." Dovhyy also stressed that "the position of any politician who voted for the removal of parliamentary immunity, and had this pledge in his campaign program, should be consistent."